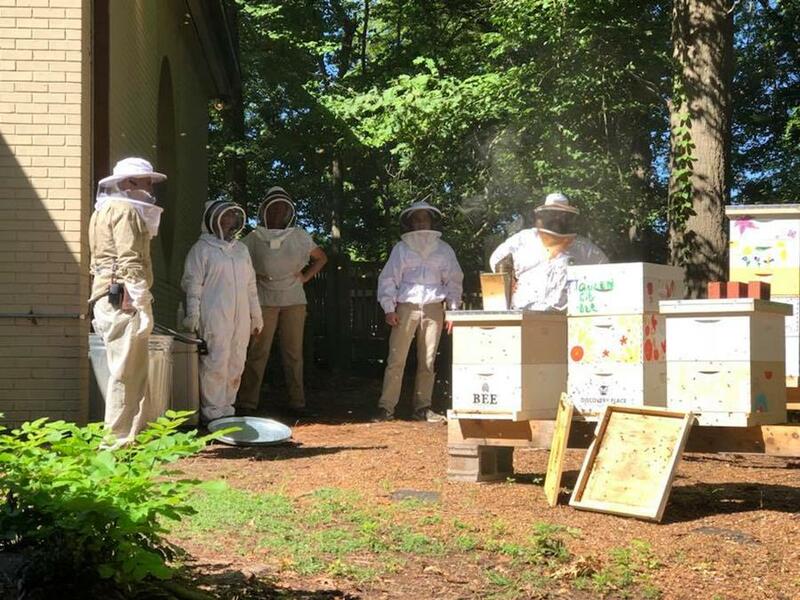 If you’re headed to Discovery Place Nature on Saturday, July 21, make sure to check out what’s happening their bee yard! That morning, all museum guests can enjoy special programs and activities focused on the importance of honeybees and beekeeping. Meet their beekeepers, learn about beekeeping and the benefits of bees, and watch them inspect their bee hives. As a special bonus, celebrate the launch of the very first honey produced by Discovery Place Nature. A limited supply will be available for sale!